Spanish reds have been making a bit of a comeback in my world lately, not so much as standalone quaffers, but as authentically compatible accompaniments to hearty fall fare. Though past complaints of over-oaking remain valid, the exceptions to this rule make experimentation worthwhile. 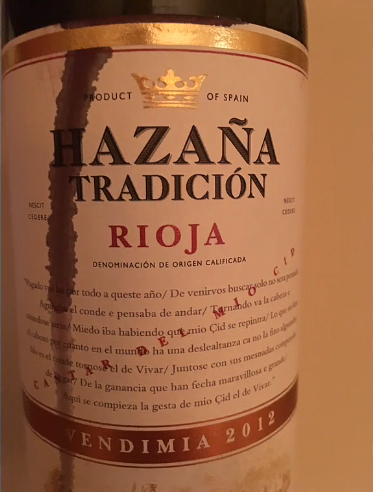 Acidity plays a key role in complementing meals, and the wines of norther Spain in particular have that aplenty. 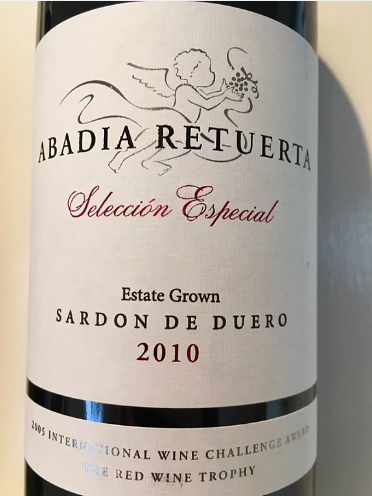 Two quite different examples follow here with the lithe, but full-flavored Rioja at one end and the dense, full-tilt Sardon de Duero at the other. Again, though, terrific acids play the same part in both wines. At just 12.5% ABV, this is a lovely change of pace from the typical overblown Spanish juggernauts. The dinner table is where this old school red finds its sweet spot. Falls short of mind blowing, but at this price, it's worthy of being a repeat offender. Modern, solid, and structured. Deliberate lines frame the black, hard fruit in this drink-me-with-a-knife-and-fork beast. On its own, it can be overwhelming and a bit off-putting, but along side a steak and savory vegetables? Three part harmony. Tempranillo is noticably buffed up by 15% cab and 10% syrah.